Magistrates and crown court judges could be asked to dock benefits from convicted criminals under preliminary proposals being drawn up by the government in response to the riots, the Guardian can reveal. Under the proposals anyone convicted of a crime could be punished once rather than potentially facing separate fines – first by a magistrates court and then a benefit office. By giving powers to the courts to strip benefits, the Department of Work and Pensions would not be required to intervene in the criminal justice system. Yesterday, a little tardy, I know, I listened to the podcast of Pienaar’s Politics which I tend to really enjoy and I did except for the presence of Kelvin McKenzie and an odious interview with Iain Duncan-Smith in which he discussed this. (Iain Duncan-Smith who, incidently, laughingly claimed at his constituency of Chingford and Woodford Green was ‘inner city’. Really? Waltham Forest is inner city? Really? Have I missed something? Anyway, back to the programme). Let me explain why it is so odious if I need to. Firstly there are the assumptions that all those who rioted are claiming benefits. Yes, I know there are links to poverty but will how will there be an equivalent punishment for someone who commits a crime and does not claim any money from the State. This is an intentional scapegoating and targeting of poverty. The riots were awful but the causes run much much deeper and broader than ‘gangs’ and ‘benefit fraud’. Duncan-Smith in a truly odious and preaching manner seemed to make links between ‘generations of joblessness’ and the feckless claimants. He emphasised his joy in ripping away support for those who received Invalidity Benefit and while me gave a cursory nod to those who might have caring roles – he mentioned them solely in terms of the money that they save the government. How about truly visionary leaders that display integrity and leadership rather than those who pander solely to the lowest common denominator of cheap ‘kicks’ at those who need to claim money for support and those who are not able to afford the lives they see the privileged lead. This week we have seen our millionaire cabinet members talk about the ‘feral underclass’ (Kenneth Clarke who was one of the few Tories I had a smidgeon of respect for previously). Really? Yes, the people involved in the riots may well have been some of the poorest and most disengaged but that doesn’t mean the cause of the riots needs to look solely at those who were out on the streets looting. If it does, it allows the cosy middle classes to look on from the suburbs (or in IDS language ‘inner cities’) to preach from their own comfortable positions of superiority. These riots, this inequity, it is the problem of ‘other people’. Surely the riots, the way that culture has become so consumerist in its nature, the dishonesty and the lack of censorship of anything other than ‘getting away with it’ the lack of inherent understanding of right from wrong in any other terms – that is not a problem of the poor and it is not a problem which is solved by taking away ‘benefits’. That merely pushes all the problems of a society onto one particular class that will match with the photofit of ‘problems’ that rest most easily in the middle-class heads. By looking at analysis of ‘who rioted’ or rather ‘who was caught‘ and looking at lists from magistrate’s courts we provide a very narrow view of what was responsible in our society for creating a moment when people thought they could ‘get away with it’. The riots were not about who was rioting. They were about what is and has been happening within our society from top to tail and by concentrating reasons and solutions on the lower end, we allow those more privileged to get away with all kinds of poor behaviours and excuse the problems that their behaviours have caused which have led to such strong feelings of disillusionment. Personally and I base this on no research base other than my gut feeling, I think the problem and the problems in society must be examined in a much deeper and more fundamental way. In England, at least, we have seen successive scandals and betrayals from the finance services through the collapse and deceit in the banking system, the MPs fiddling expenses compulsively, the Press through the phone hacking scandals and the police for bribery. While politicians lament of a world where people loot ‘because they can get away with it’ and only refrain from crime not because of an inherent ethical desire but because they will not be caught, it is impossible to separate those who loot shops from those who loot the public purse. Those who sit in their comfortable suburban (sorry, inner city) homes. How can we, as a nation, allow our poorest people to be scapegoated by an establishment (financial/political and media) that has been equally deceitful but who will never feel ‘benefits’ being taken away because they are all wrapped up in each others’ collective pockets. They will never be evicted from their council houses because of the behaviour of their children because they are fortunate enough to own their own homes and they will never suffer from having child benefit withdrawn when their kids truant because they aren’t reliant on child benefit and their children have trust funds. How can we allow this to be the voice of ‘reason’ in the country? I truly can’t understand it but I know it makes me angry. I’ve made my position clear about ‘benefits’ over the year. ‘Benefits’ are not really benefits at all. [ben-uh-fit] noun, verb,ben·e·fit·ed or ben·e·fit·ted, ben·e·fit·ing or ben·e·fit·ting. 3.a theatrical performance or other public entertainment toraise money for a charitable organization or cause. Perhaps our national failing is that we still mentally see ‘benefits’ as a gift and not a right. The payments given to those who have some form of need should not be considered as an ‘act of charity’ by government. It is money necessary to live not money in the gift of the government. Sometimes language is and can be important. By Cameron and his Conservative-led coalition like spreading the rhetoric that ‘benefits’ as well as ‘public housing’ should somehow be related to ‘good behaviour’. 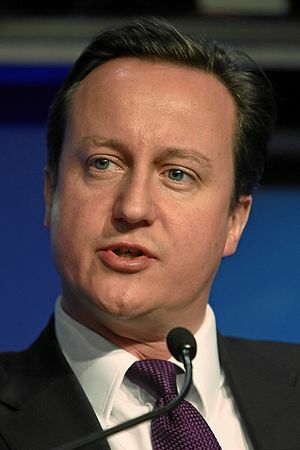 David Cameron wrote in a Sunday newspaper that he wanted to look at going further in welfare reforms, calling for the child benefit payments of parents who play truant from school to be withdrawn. Cameron moves in a no-doubt electorally pleasing but morally questionable path. Calling for the removal of child benefit payments to the parents of children who play truant is morally repulsive. It further impedes those who rely more heavily on those child benefit payments. Lets not forget that child benefit will be means tested soon (in a pathetically haphazard way but no matter). Where is the proposal for penalties for those parents who don’t receive child benefit and whose children play truant? Or do they really think truancy only affects ‘poor children’. It insults our intelligence to make these proposals but they play very well to a public crowd that has been increasingly weaned to divide our own population into an ‘us/them’ dichotomy between those who work and those who do not work. The government (and the previous government too) persist with a ‘divide and rule’ policy of presenting those who are not able to work against those who do work – well, we should never forget that for those us who aren’t party to the millions in trust funds that most of our government members grew up with – there is a extremely tenuous link between being a have and being a have-not. Something-for-nothing? Really? Personally I believe that people are entitled to a level of support from the state in order to live and that Cameron is playing games with words and assumptions when he appeals to the ‘Daily Mail’ reading crowd. He makes much reference to ‘benefit cheats’ as talks about ‘taking away benefits’ as if it is a reward that we had to well-behaved dogs and it is insulting in the extreme. I those doubt that reforms are needed but the language in itself in invidious and pushes our thoughts to regard ‘benefits’ and ‘benefit claimants’ in a particularly unfavourable light. And as an aside, as was pointed out to me, the photo in the Guardian article – well it has a picture of Charles and Camilla. Now THERE’S a family existing on benefits with absolutely no public gain and I think their social housing should be taken away for the genuine good of the nation. But that’s another question for another day..
Our wise leader, David Cameron, clearly being an iconic Philosopher King, spent many days studying the possibly causes for the devastating riots in London and across England. He concluded after much intellectually rigorous pursuit, that the causes of the ‘sickness’ of Britain are – single parents and gangs aka ‘other people’. Oh well, maybe he didn’t put quite as much thought into his words as I credited him for after all, he’s been toting those policy aims for decades. What more could we expect of him? Complex thought processes and analysis? Don’t be silly, he’s a politician who thrives on sound-bite politics that blames others. I’m going to share a tiny bit of my own obviously clearly thought through analysis and that is this. There are no ‘easy’ solutions to the endemic problems that created a culture where people feel they can take what they want. This was not about ‘gangs’ although I’m willing to concede that might have been a fraction of one part of a ‘problem’. This is not about single parent families although yes, there may be people who are labelled that way. It seems that when our leaders set about scapegoating some of the voiceless citizens, we are heading for more divisions and damage than healing and unity which is what we really should be seeking. I’m not saying people should not be punished according to the law but they should not have new punishments invented specifically for them just to satisfy the vengence of the middle class who suffered for the first times when Ealing and Clapham burned. Social problems that have been festering for decades have exploded in our face … Our security fightback must be matched by a social fightback,” Cameron said as he described the violent disorder as a “wake-up call” for Britain. There’s a lot here to get our collective heads around. A lot of dangerous assumptions and a clear view into the simplistic mind of someone who is supposed to be a leader and has proved himself beyond inadequate for the task. The Financial Times for example, explains that these riots happened in a period where crime figures had been falling consistency? A moral breakdown? Perhaps not. Irresponsibility? Like appointing a press secretary whom you have repeatedly been warned not to appoint and to continue to give him ‘second chances’ when you don’t consider second chances for the person who steals a bottle of water. Selfishness? Like the MPs who gorged themselves on expense claims. Now, all those platitudes, we get onto the real meatiness that Cameron is gagging for. Children without fathers? Excuse me? Does he realise how he stigmatises and chastises all the fine families that are raised by a single parent? Does he really think the presence of a man and a woman in a family unit regardless of whether they actually want to be together (the usual reason that splits take place) will ‘help’ the children? He is a fool and it is a dangerous message. Male or female role models do not have to be parents and unhappy parenting is not a useful environment in any circumstances. Cameron has his ideal of the perfect ‘Chipping Norton’ family just as he has his ideal of the perfect ‘Chipping Norton’ community. It is damagingly false and it seeks to further stigmatise and alienate those who for very many good reasons, do not conform to his traditional family view. Does he refer to families with two mothers or two fathers or single-father families? What about communities with extended friends as support? He is finding it too easy to paint ‘poor people’ with a brush. Schools without discipline? Again an easy target. How about actually putting money and effort into the schools that exist then rather than trying to hive them off into ‘free schools’. Reward without effort? Um.. Mr Cameron.. you know, you with the inheritence of millions. Can you tell us exactly what effort you put into the accident of your birth? Crime without punishment? – Well, I suppose that depends on definitions but an awful lot of crimes seem to be getting some mightily grand punishments at the moment. Unlike the bankers who ravaged the finances of the nation. Rights without responsibilities? Dangerous stuff here. See, he has been quoting that awfully subversive Human Rights Act. Possibly because he, in his privileged position would never have need to refer to it. Communities without control? Interesting one. I wonder what exactly he means. Which communities are these? Poor communities? Communities of people with different minority ethnic backgrounds? Gangs? It’s pretty rhetoric and a nice alliteration but it is meaningless. You see, I don’t believe Britain is ‘broken’. I think she is functioning as well as she can despite the government though. I think the more that the rhetoric fixes on the ‘sick pockets’ and less on the body politic the more she will begin to sicken though. Cameron’s ‘solution’ to help to fix (note fix not heal) this country is to bring in Emma Harrison from Action for Employment as a ‘Families Champion’. Really? That’s a bit patronising and it seems to dictate to us as adult citizens what ‘families’ the government approves of and disapproves of but back to Emma Harrison who has built her millions on the back of the government’s ‘Welfare to Work’ programmes. Is this really a call for more private profit-making? What message does it send about making money off the back of so-called ‘broken families’ and trying to fix them? For me, Cameron’s heavy-handed and quite frankly ignorant response to the riots is a sign of a far more broken element of British society. The ruling classes and their detached empathy sensors. That has already caused a lot of damage and is likely to cause far more in the future and we need to be wary of it and try and push the agenda towards healing rather than fixing. The ‘Hardest Hit’ Campaign is has been organised by a number of disability charities which form the heart of the UK Disabled People’s Council which is an umbrella group for many organisations across the country and Disability Benefits Consortium which is another umbrella type body which includes a lot of well known major UK charities and organisations. Between them, these two bodies substantial weight and experience of disability in the UK and the campaign which has organised a march tomorrow, is intended to highlight the cuts which are being focused on people with disabilities by the government. Tomorrow, 11th May, there will be a march in London. The details of the march can be found here and will culminate in a lobby of Parliament between 1.30pm and 5.30pm. Unfortunately, I won’t be able to attend myself due to work, however, in the spirit of inclusiveness there is a joint online campaign for those who are not able to attend. There is both an option to write to your own MP (if you are in the UK!) and/or to send a testament to the campaign so that experiences, worries and issues can be collated. It is worth reading through some of the testimonies already sent in. So what changes are being proposed? Why is disability targeted? Putting a percentage figure of cuts necessary only means one thing. It means raising the bar to access DLA. It is not an ‘easy’ benefit to apply for. I know because I’ve filled in many many DLA and Attendance Allowance (the equivalent benefit for over 65s) forms in my time. There are many faults with the system of DLA at the moment but being too lenient isn’t one of them. My own criticism would be about the way that applications are made and the emphasis on physical ‘ability’ and ‘disability’. I genuinely think that more trust should be placed in GPs and teams that are working with the claimants rather than form filling. It’s important to remember that DLA helps disabled people to WORK. Disability Living Allowance is also a ‘gateway’ allowance for Carers Allowance. Carers’ can only claim Carers’ Allowance when the person that they care for receives either DLA or Attendance Allowance so a cut would have a substantial effect on carers as well – even though carers’ allowance is pitifully low, it is better than nothing. I think the government may well be backing away from this one already. Campaigns and demonstrations can work. – Cutting off payments of contributory Employment and Support Allowance after a year to people struggling to get back into work due to disability or serious illness. This, I think, will have a massive effect as well as ESA (Employment and Support Allowance) is the benefit that is paid when someone cannot work due to ill health or disability. There are so many issues regarding ESA but this one is likely to cause substantial hardship and limiting contributory payments for a year when the effects of the illness or disability are not time-limited will merely serve to reduce payments to those who do not meet the criteria for the income related ESA. Remember, contributions based means that the person has worked and paid their National Insurance – this is not a ‘layabout charter’ that the government (and opposition) seem to think that ‘hardworking people’ imagine is in place for ‘scroungers’. Our system should support people who are not able to work due to sickness and disability. I don’t doubt there are problems in the system but I don’t see how employing a private company (ATOS) to make perfunctory tests based on predominantly physical health needs rather than asking GPs and consultants to validate (or not) the claims of their own patients makes sense. On the one hand the government is saying how trustworthy and fine our GPs are and how they can carry the ‘commissioning’ task as they know their community best but on the other hand they are not trusting GPs to make honest assessments of their patients’ ability to work or not as regards assessments for ESA. So as for the campaign, I want it to succeed or at least to change some of the distasteful discourse that exists at the moment around benefits and people who rely on them more broadly. In order for it to succeed, it needs widespread support and the people marching need to know that they are supported. If you aren’t able to attend tomorrow, go to the website and see what you can do to lend support. Anyone who has a belief in social justice needs to be involved in building a fairer society for everyone. That’s what social work is about as I see it. 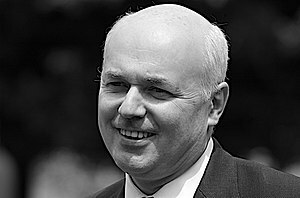 Yesterday Iain Duncan Smith unveiled his ‘flagship’ welfare reform bill amid much nodding and clapping on the part of the government. He was, he declared, going to end the ‘benefit culture’ and ensure that work pays. There is something disconcerting in the tone of IDS’ statement. It seems obvious to assume that work should be something that is a default option but I still find it hard to understand the emphasis on ‘the feckless’ and ‘the idle’. To try and shame and insult people into work when there is no work to be had seems particularly callous. I don’t have any moral problems with the changes to a universal benefit type system incidently. The current system does need reform and there are always changes and improvements that can be made but there are a couple of elements of this Bill that I feel particularly strongly about. As anyone who has worked alongside me can confirm, knowledge of benefits is not my forte’. We have a team in the council (for the moment, very likely to be cut) to whom we refer people who we feel might not be getting as much as they should. Note that, because it’s crucial and absolutely shapes my ‘real life’ knowledge of benefits. That’s PEOPLE WHO ARE UNDERCLAIMING. And yes, there are many whom I have come across over the years. The first two elements are fairly uncontroversial. Changes in the disability living allowance is anything but. publication of changes in the DLA and referring to the Personal Independence Payment (PiP) in the Part 4 of the Welfare Reform Bill seems to run counter intuitively to the fact that the actual DLA consultation ends today – you know, the day AFTER the publication of this bill. I wonder how much there actually is to consult on. There is a little subsection about ‘persons of pensionable age’ which confirms their exclusion (as is currently the case) but I read it as meaning that there will be a change in that currently if you receive DLA prior to 65 (or equivalent pensionable age) you continue to receive DLA (Which is higher than the ‘over 65’ benefit ( Attendance Allowance). It seems that this will stop and all PiP will stop at pensionable age (which, of course, will be above 65 in the future). This will mean a potential significant disadvantage to those who are disabled prior to their pensionable age. DLA will also be removed from those who are not resident in the UK which I assume will affect some of those who currently claim within the EU. That has been taken away. I am not expert at reading legislation but that’s how I have read it. There are few details but then again, the consultation on the change between the DLA and the PiP is still in progress as this Bill has been published. There are going to be four categories of ‘work related activity’ specified required of claimants who are unemployed. Work focused interview requirement, Work preparation requirement, Work search requirement and work availability requirement. I won’t go into the details of these because they are available on the DWP website. More interesting, I found to be the four groups of people and what would be required of them in order to be paid their universal credit. This will be applied if the claimant ‘has limited capacity for work’ – which is yet to be determined – probably by a private company like ATOS. If they have ‘regular and substantial’ caring responsibilities for ‘a severely disabled person’. I have only to listen to the government spokespeople and wonder about definitions. If they are the main carer for a child under 1 or meet ‘other conditions’ which are not specified but obviously given the framing of the legislation some flexibility. This is specified for a main carer of a child between 1 and 3. This is specified both for carers of children aged 4-5 as well as others who may have limits to their ability to work. This is the part, that, for example, includes a ‘health assessment’. It also includes taking part in employment programmes. Fairly self evident and that’s everyone else. Sanctions are to be imposed if the work-related requirements are not met. These are set out in 26(1) (chap 2) of the Bill. So basically if someone fails to apply for a specific vacancy that might be suitable (lots of scope for interpretation here), doesn’t take up a specific job offered or is sacked (because of misconduct) or resigns from a job – ‘with no good reason’. Currently sanctions apply in some of these cases but the main difference is the length of time that they may apply. I do wonder who this is meant to punish and am concerned particularly about the effect it may have on children who are dependent on their parents for income. The benefit cap remains associated with a family rather than listed per individual. I wonder if this links with Mr Duncan Smith and his ilks’ promotion of marriage.. Personally, I’m very uncomfortable with the idea of a specific benefit cap because families come in all sizes and with many different needs. Yes, disability benefits are going to be excluded from the cap but it is important to remember that disability benefits are going to be reduced substantially (at least 20%) in any case. As a Londoner, living in one of the highest cost cities in the world, it also doesn’t make sense to me that a blanket cap be placed nationally with no thought to the different costs of living in different areas. I’m not saying that £26,000 isn’t a fair whack. Of course it is, the figure is based on national average earnings, but, and this is a bit but, we are not all uniform in our needs and costs. A definite benefit cap seems more about deterring some of the front page stories in the Daily Mail about ‘scroungers’ rather than a real chance to get to grips with defining and working on need. Cameron and his proxy Iain Duncan Smith, also announced a ‘war on sick note Britain’. I suppose this is the relation to ESA (Employment and Support Allowance) which is replaced the previous ‘Incapacity Benefit’ and is given to claimants who are unable to work due to illness or disability. (Note – DLA is NOT an out of work benefit – it is non-means tested and it given in relation to meeting additional costs related to the disability itself – hence it allows a lot of people to continue to work – it’s a bit of a red herring to stick it in with all of the work-related benefits here). For ESA, the government are reducing the people that a contributory (generally higher) rate is paid to one year only. This will significantly affect people who have long term illnesses and disabilities. The ESA claimants who are in the work-related stream will be subject to the same work-related requirements as detailed above. I have no doubt that there are many details that I’ve missed. This is just a precursory glance at the Bill and some of the writing around it this morning. While there are elements that need to change the focus on a deserving and undeserving claimant does not credit to our society. The victimisation and ostracisation of people who cannot work or cannot find work particularly in a climate of rising unemployment creates the potential of a much larger underclass and people who feel they have no stake in the future. It doesn’t help that the cabinet that introduce this legisalation is very much one of privilege that have never known and understood hardship and the desperation that comes from not being able to find work when you really do want and need to. No, they can buy their own children internships.. This creates more of a dichotomous state. There has to be a better way to live than to punish, force and shame people into work. A fantastic initiative has been taken which hit the internet with force yesterday. The idea of ‘One Month Before Heartbreak’ which can be followed on their blog and on ‘The Broken of Britain’ blog – is to collate voices and raise voices and awareness about the government’s nefarious targeting of disability benefits in the month before the end of the consultation about changes to the DLA. The campaign has also taken off across Twitter – and posts can be found with the #ombh tag. I’ve written about DLA here. I have written up some responses to the consultation. The best summaries of the cuts are listed by Community Care here. Too m any for me to focus on one by one here in brief. I have seen the difference that DLA and Attendance Allowance (a similar – but, crucially, lower – benefit for over 65s – cos as the government know, once you hit 65 and aren’t in the work market, your aspirations should decrease and so should the money you receive but that’s another argument for another day) make. – Firstly, that the government have, straight off the bat, explained that they want a decrease in take-up of DLA by 20%. For all their guff about reforming benefit, we know that DLA is not the way to target fraud. There is, in fact, little fraud of DLA claimants and it is not an easy benefit to claim. If anything, the cost of re-assessing everyone by an independent company (ATOS) will obviously have a cost. The aim of this government is to cut costs. It isn’t about making things fairer. It isn’t about reducing fraud. It is an ideological decision by this government to target people who they think won’t have the fight in them and to pander to ‘Daily Mail’ politics of the ‘grumble of the self-righteous taxpayer’. As for me, I’d like medical and social care professionals to be trusted to make judgements and assessments of people in their care. I have helped and co-signed many many DLA and AA forms over the years. I would never falsify any of my information and no form that I have assisted in the completion of, over the years, has ever been turned down. I’ve been phoned by the DWP to ‘check’ I was legitimate and to discuss forms that I had counter-signed. Why isn’t that enough? Why does the government then need to employ a further independent private company to ‘check’ and to become rich in the process. So I wholeheartedly support the ‘One Month Before Heartbreak’ campaign. I became a social worker to fight social injustice and I can’t do that solely in my office. This is a campaign that needs broad and wide support. So go to the sites, read about the personal experiences of people who rely on these supports and answer the government consultation. There’s a post on Community Care’s ‘The Big Picture’ blog which explains some of the reasons behind the decision to scrap the ILF (Independent Living Fund). It is written by Melanie Henwood and Professor Bob Hudson who were commissioned (they say) by the DWP to undertake an independent review of the ILF over four years ago. This decision, they state proudly, is a result of their analysis and ‘review’. ‘More than four years ago we were commissioned by the Department for Work and Pensions to undertake an independent review of the ILF. Our core conclusion was that it is highly anomalous for significant amounts of public money to be placed in the hands of a cash-limited, discretionary fund administered by a board of trustees, resulting in inequity, lack of accountability, overlap and duplication of functions, arbitrary decisions and major confusion for disabled people seeking support for independent living. This is an anachronistic and paternalistic model that should have no place in a 21st century system of care and support. We recommended therefore that the ILF should be fully integrated with personal budgets rather than existing as a parallel system of social care funding. Far be it for me to comment. I’m not an ‘independent consultant’ and I’m not a professor of anything. I just worked on the basis of using monies from the ILF and accessing support for service users I worked with. I am confused by the lack of accountability charge in that the money was accounted for as far as I had always been aware and didn’t seem to be necessarily arbitrary in its allocation but that’s just my limited experience. I’ll concur to the obvious experts on that. Yes, integrating the system with personal budgets of course makes perfect sense. The problem is that it is highly unlikely that any additional funding will be made available. As we see from the settlements the local authorities received this week, money is going to be beyond stretched. I, by no means, think the ILF needs to be retained in its current form but it has been a representative acknowledgement of the needs for additional funding over and above what local authorities can provide for. By letting the funding stream slip entirely into the hands of local authorities it risks and will be subsumed by the many different calls for financing by more ‘life and death’ needs. For me, the purpose of the ILF was to remove some of the budget from the local authorities – it provided a nationally imposed system of allocation which was the same in Belfast and Birmingham – in Hackney and Chelsea – the arbitrary nature was about when the money ran out rather than a so-called ‘postcode lottery’. Neither is fair but one is, perhaps, easier to comprehend. It’s an interesting piece for Community Care that sure, raises some of the need for change in the way the ILF works. The problem is that for all the earnest explanations of Henwood and Hudson, there has been nothing from the government about any kind of replacement which hardly builds any kind of confidence that that money will be protected. I don’t want to be blind to the failings of the ILF. I didn’t do any in-depth analysis of its workings to be honest – I just saw the way it works and the way it has helped people directly. My fear, should the ILF cease to exist, is that these funds will slowly disappear in the future, and that the choice afforded me by my self-directed budget will mean less and less support, let alone choice as the total budget reduces over time. This is not how I want to live my life. Having two funding sources means I have greater security regarding assistance in the long term, and greater flexibility. Less personal assistance will make it harder to contribute to society as well as to access community services such as health. The end of the ILF has the potential to be a disaster for me. The problem with Henwood and Hudson’s post is that it is all very well calling for the need to change and criticising clear failures in the ILF which has, after all, been their job as consultants – but it’s hard to understand their glorious proclamation of a ‘new chapter’ for the fund-previously-known-as-the-ILF when nothing at all has been announced as its replacement. I have to wonder how much service-user consultation took place before this decision was made. Unfortunately the post sounds like an apologists’ dream for the new government. Hollow promises and empty purses make for poorer service delivery. Services need to be fair and transparent, of course they do, but they need to exist and have the money to back them up as well. If the fund needs to change, so be it. I’m no expert in its mechanics, but this feels too much like just another cut than a considered statement on better supporting disabled adults at home and providing the funding necessary to provide good quality care.